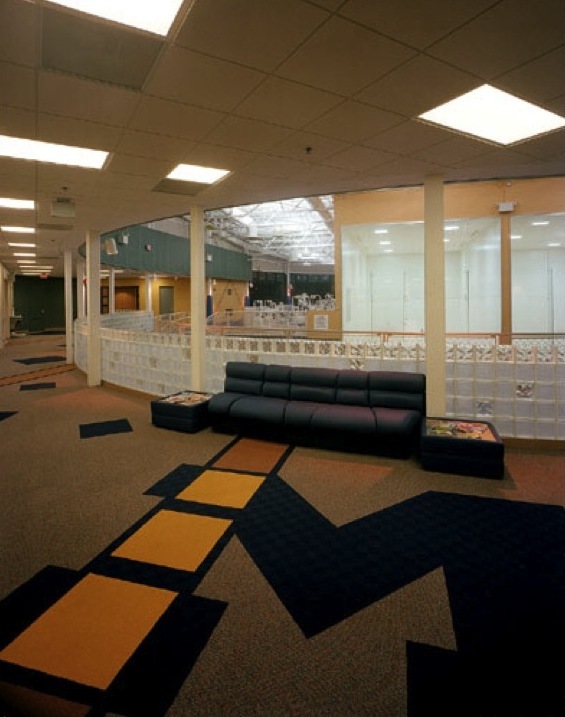 Project Specifics: The renovation called for a 16,000 sq. 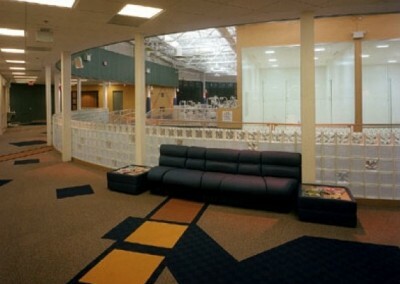 ft. facility to accommodate two racquetball courts, a running track, a weight training and exercise equipment area, a dance studio and locker rooms. Challenges: The unusual geometry of the existing facility required extensive engineering and layout expertise. Additionally, close supervision and coordination was needed to accommodate the specialized nature of the Italian-made finish materials, which caused construction delays due to importation issues.